M - Mature size 14" x 36"
9" x 7" ruffled upright green leaves bordered with cream. Good substance. 13 vein pairs. Near white flowers. 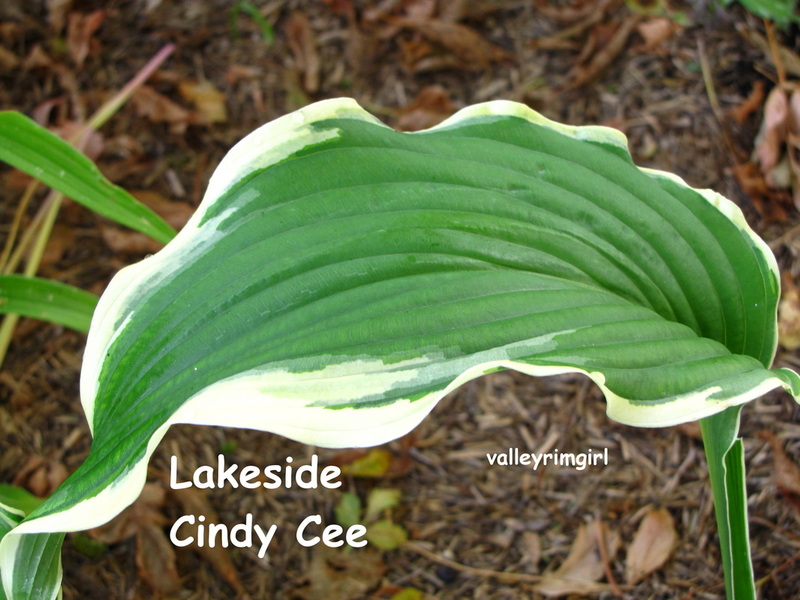 My one year old Lakeside Cindy Cee!!! Love the ripples along the edge of each leaf! View from the top. 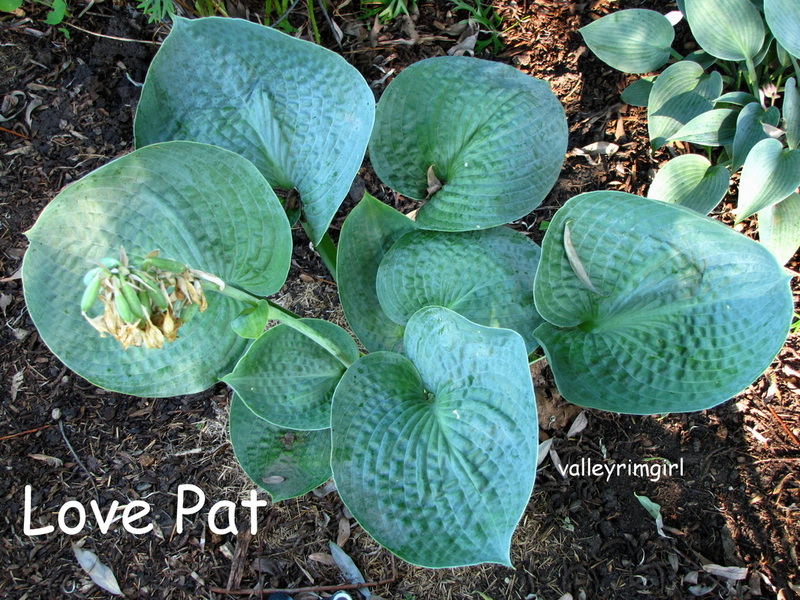 Notice all the colors in the leaf. 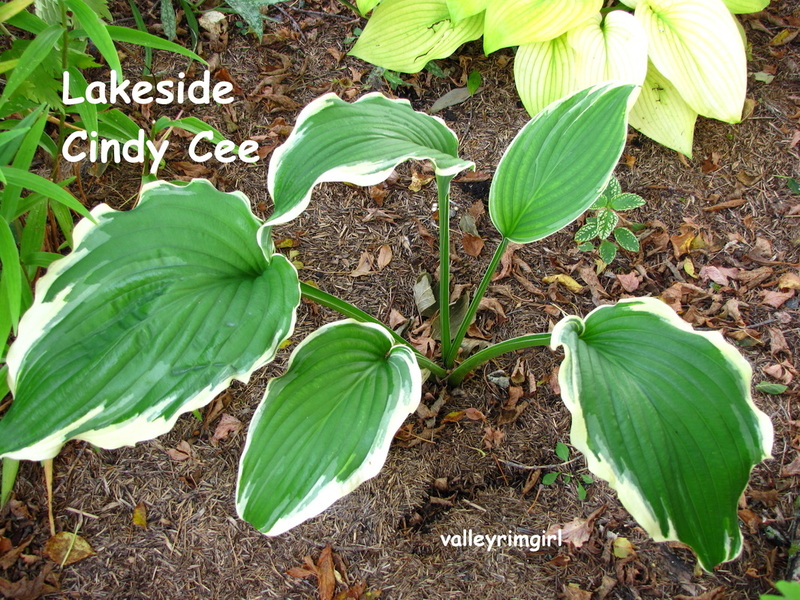 9" x 7" heavy substanced, ovate with a cordate base, slightly wavy, smooth textured leaves with prominent and widely spaced veins. 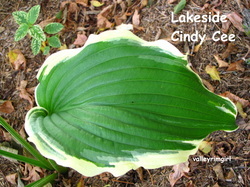 The leaves have large white centers that have a 1.5" margin of dark green, with lime green streaks jetting toward the midrib. 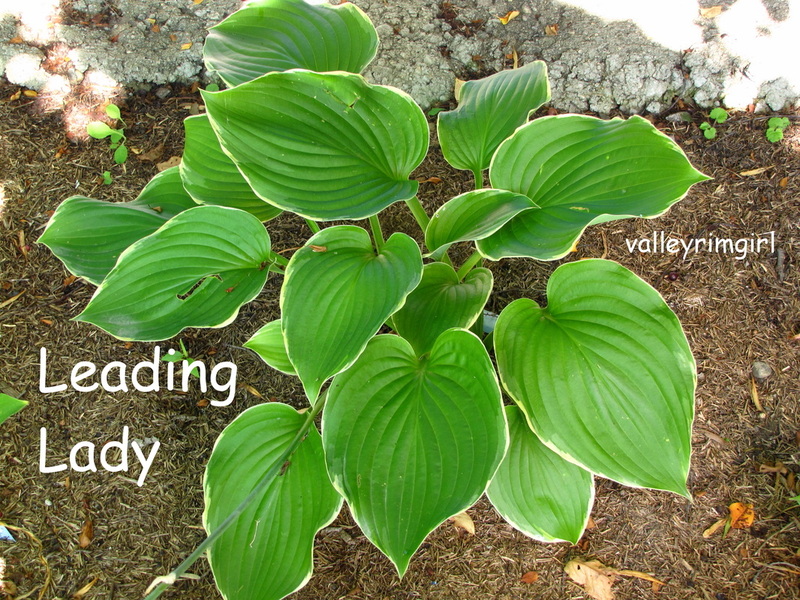 Upright flaring growth. The white petiole is sharply outlined in dark green. 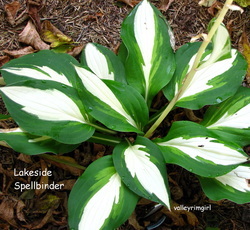 Near white flowers on light green 24" scapes. M - Mature size 13" x 37"
9" x 7" shiny rich dark green heart-shaped leaves are with a very white center blaze. Near white flowers and later on will have white pods. L - Mature size 28" x 67"
14" x 10" dark green thick substanced leaves with a very wide golden edge which changes to cream as the season progresses. Large semi-upright clump. Light lavender flowers. Purchased my Leading Lady in 2008. 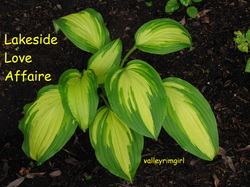 This picture was taken in mid summer 2011. 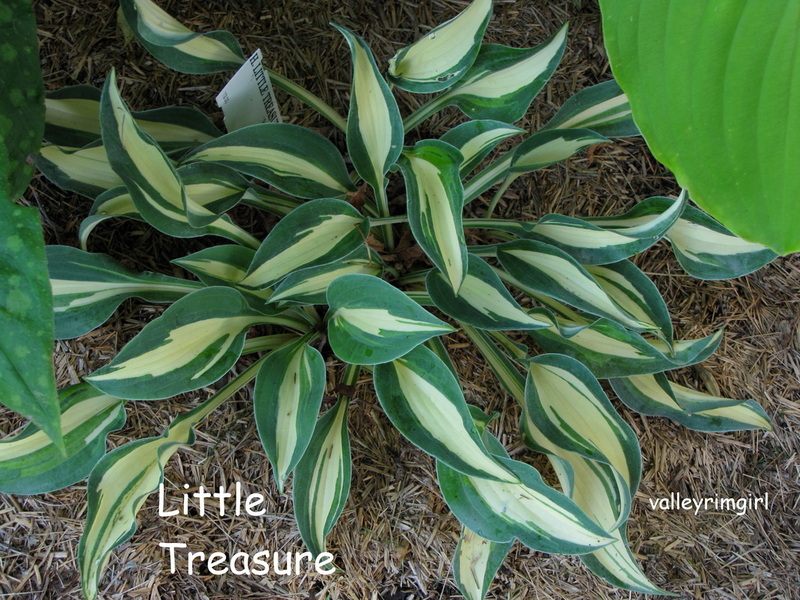 Mini - Mature size 6" x 11"
5" x 2" creamy centered leaves with a very wide blue-green border. Excellent substance and vigor. Lavender flowers. 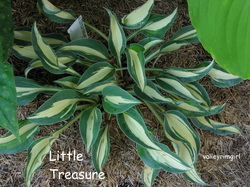 I bought Little Treasure in the spring of 2010 and this picture is taken in mid August 2011. M - Mature size 40" x 19"
9.25" x 9" rounded upright leaves are cupped, thick substanced, heavily puckered and corrugated. 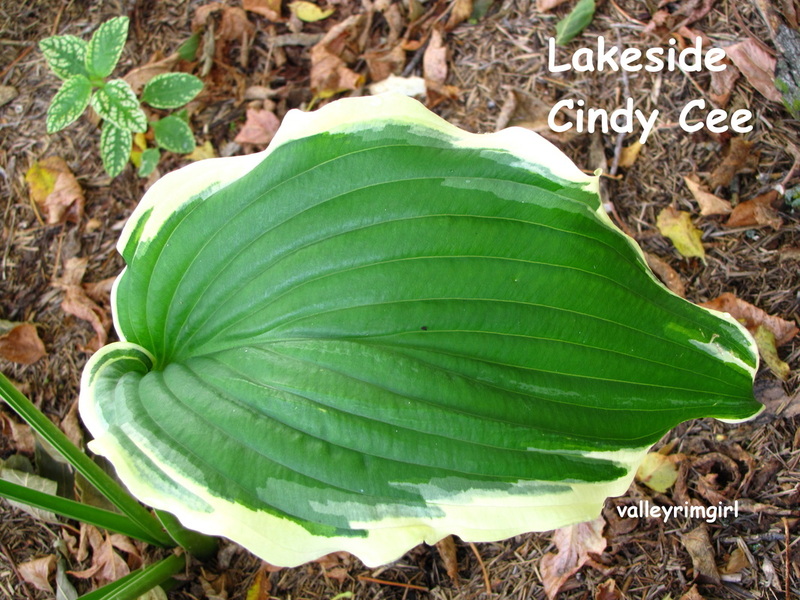 Leaf color changes from very blue to blue-green to dark green during the growing season. Thick underside bloom. 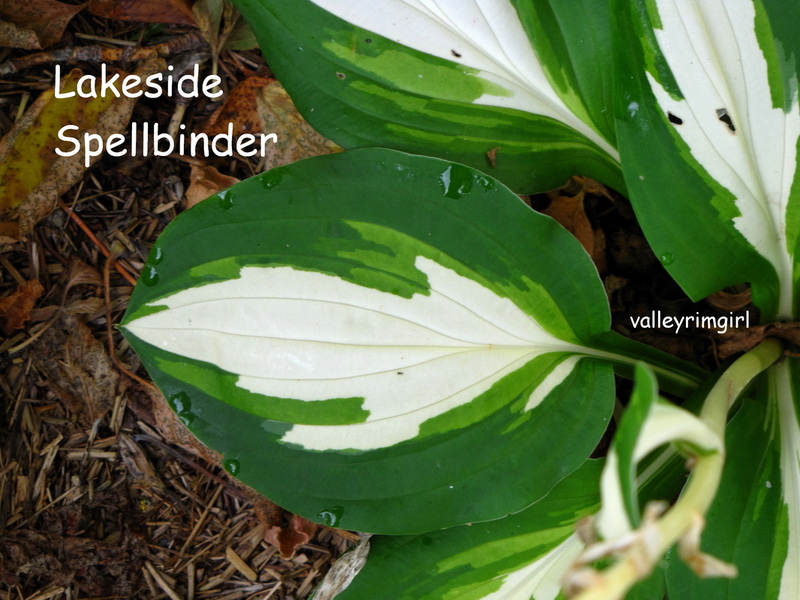 Near white 1.75 x 1" flowers in late June on 25" scapes. 16-17 vein pairs. Likes semi to full shade. Awards: AHS Midwest Blue Award 1988 for best blue leaf at convention, AHS Popularity Poll 1996...#10, 1999 & 2000...#14, 2001...#16, 2002...#18, 2003... #15, 2006...#17, 2005 & 2009 ... #21. 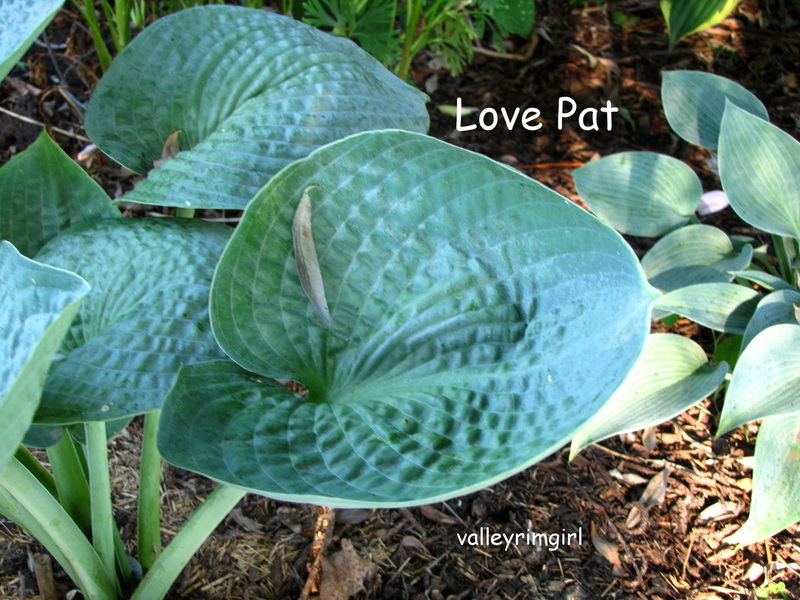 Love the cupped thick leaves of Love Pat!